It’s that time of the year where I am seeing so many of my friends traveling to Iceland, it’s indeed a beautiful destination! It’s a stunning country and we love it as well on ABDZ. One thing though, we are starting to get used to see the same photos from the same locations, sometimes it might get pretty exasperating. For me the least, how about we change the atmosphere a little? 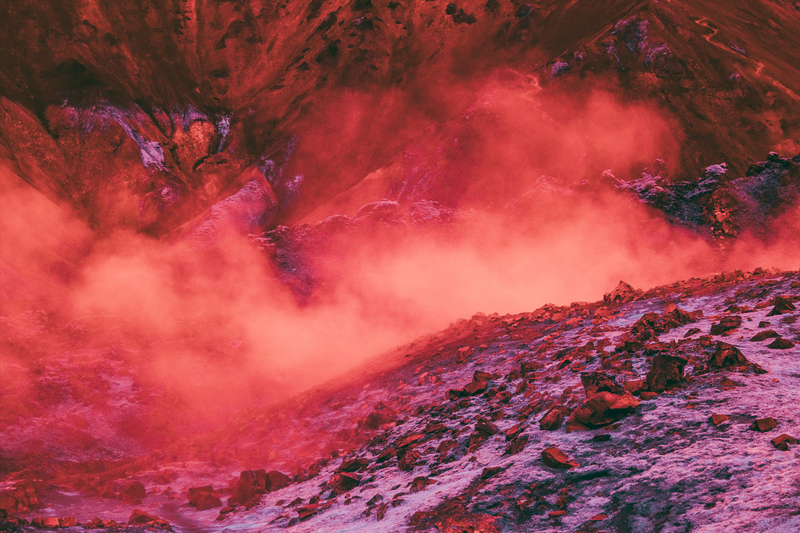 Let’s take a look at our friend GMUNK with his #inframunk collection shot entirely in Iceland! 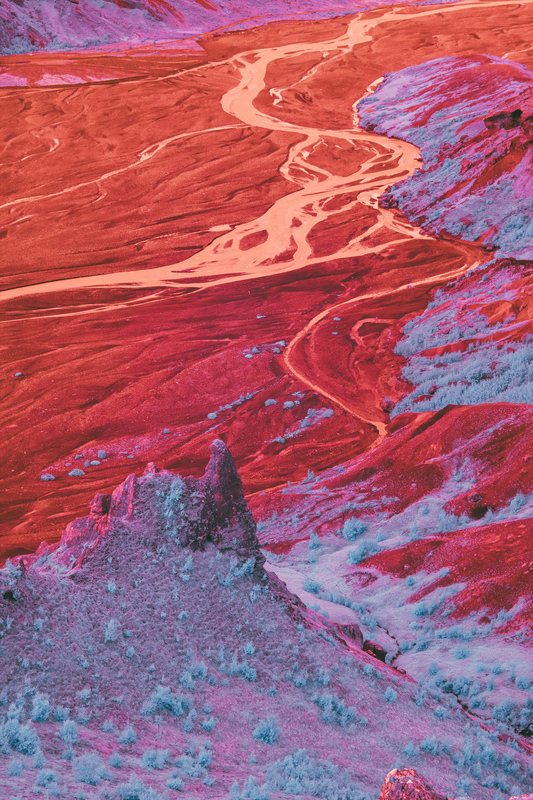 In their words, “captured the terrain using his custom modified Full-Spectrum FujiFilm X-T2 IR, a grip of LifePixel Super-Color Infrared Filters and some Vintage Nikon Manual Focus lenses – together producing some fiercely psychedelic and experimental palettes”. 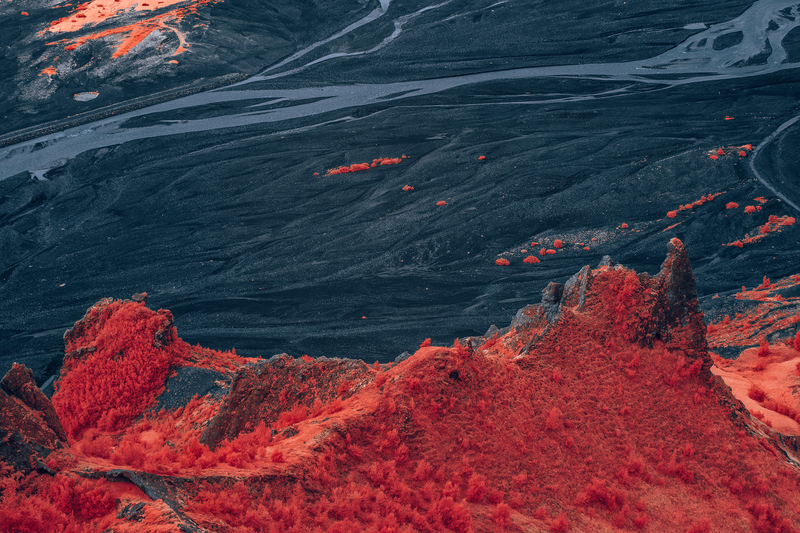 During the Summer of 2017, Munko embarked on an ultra-inspiring Photography Adventure through the amazing country of Iceland, traveling with his homies from the PhoGølscollective – Jake Sargeant and James Heredia. Together they spent 11 days exploring various sites from all over the island, pushing themselves to keep it dialed and produce results they could be proud of.